The Samsung GALAXY Note 3 has great hardware and is packed with many useful and unique features – but its ace in the hole is a library of incredible apps and games. Here is our pick of ten apps that best show off the Note 3's abilities, and help you get the most from Samsung's flagship phone. It is easy to capture video using the GALAXY Note 3 – you can even do it in full 4K Ultra HD – but making a watchable video can take a fair bit of skill. This is, after all, why they pay Steven Spielberg the big bucks. Magisto is an almost magical app that will actually edit your videos for you, automatically choosing the best shots and combining them to make a great-looking whole. The app adds stabilisation to wobbly camera work, adds in photos (including Instagrams) and uses facial recognition to pick out important people in your movies and match them across several clips. Magisto uses colourful filter effects as well as soundtracks (using your own music or a library of free tracks) and has almost a sixth sense for what will look good. You can export the finished clips to YouTube, social media or your email app. 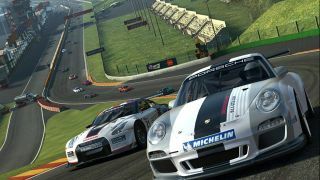 Real Racing 3 is one of the most graphically taxing games available for Android devices. Most phones and tablets struggle when trying to display this game on its highest detail settings but the Note 3's combination of Quad-Core processor and 3 GB of RAM means that this free racing game plays as smoothly as butter. Drawing apps for smartphones are fairly commonplace, but SketchBook Pro is a professional-quality drawing program designed by industry leaders Autodesk. The app offers you over 100 customisable brushes, a full colour palette and the ability to draw on huge, multi-megapixel canvasses. The brush handling can take advantage of the S Pen's support for pressure sensitivity and each drawing can be split into layers that may be edited separately and then combined. What we wouldn't have given for this app when we did our Maths A-Level. MyScript Calculator makes brilliant use of the S Pen and handwriting capture, using them to create a unique 'calculator' that lets you simply write out a formula for the Note 3 to solve. The app understands trigonometry, logarithms and mathematical constants like pi. You can even scratch out corrections and the app will re-evaluate the formula. Whether you're an armchair sports fan, an under-12's soccer coach or a Premiership manager, PlayCall offers a simple way to sketch out tactics and set plays on a diagram of the pitch, using the S Pen or your fingertip. The app covers football (UK and US), basketball, tennis and baseball. Bring an element of professionalism to your post-match pub arguments by using PlayCall to illustrate exactly why that goal was offside. Have you ever made a flipbook animation using the corner of a notepad? With Flipaclip you can do the same thing on your Note 3, only better! Draw each frame of your animation using the S Pen, with the same 'onion skin' outlines of previous frames that professional animators use. You can select or draw a background, edit individual frames and watch your creation on the Note 3's expansive screen before sharing via YouTube or other social platforms. You can of course use the S Pen to sign your name in S Note or even Action Memo, but SIGNificant actually treats your scribble as a proper signature, capturing additional biometric data such as acceleration, speed, and rhythm to confirm that your signature is indeed your own.